Germantown, Tennessee—August 3, 2018—The tragedy in Parkland, Florida last year has increased focus in school security across the country. Germantown Municipal School District, in addition to adding some new physical security features (you can read more about those here), continues to be proud to partner with the Germantown Police Department. Through a partnership with the City of Germantown, each school has been provided with a School Resource Officer (SRO) since the district’s doors opened in 2014. But, now, the GPD SWAT team has become an active partner as well. Last spring, the team began delivery of FBI-sanctioned active shooter training to personnel at all schools. 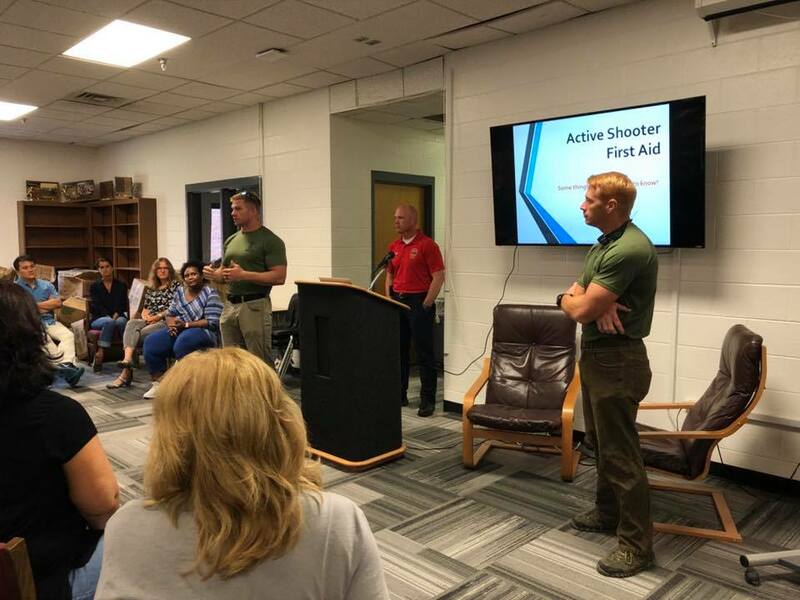 Last week during staff in-service, each of the schools in the district participated in additional active shooter training. “Altogether, the training takes about 3 hours over two sessions,” reported GPD Lieutenant Brandon Schiel. The first session, delivered last year covered the FBI developed “Deny, Avoid, Defend” strategy. Last week, the second session went over the proper placement of students during such an emergency along with combat causality care—like the application of tourniquet to a gunshot victim. 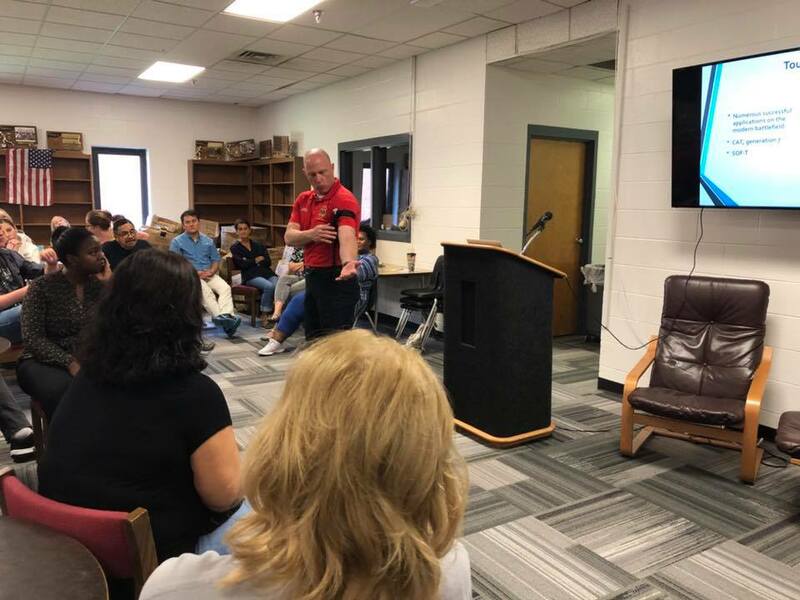 Rounding out last week’s session, the GPD addressed some GMSD specific topics like lockdowns during arrival or dismissal, the difference between hard and soft lockdowns and other school location specific action plans. 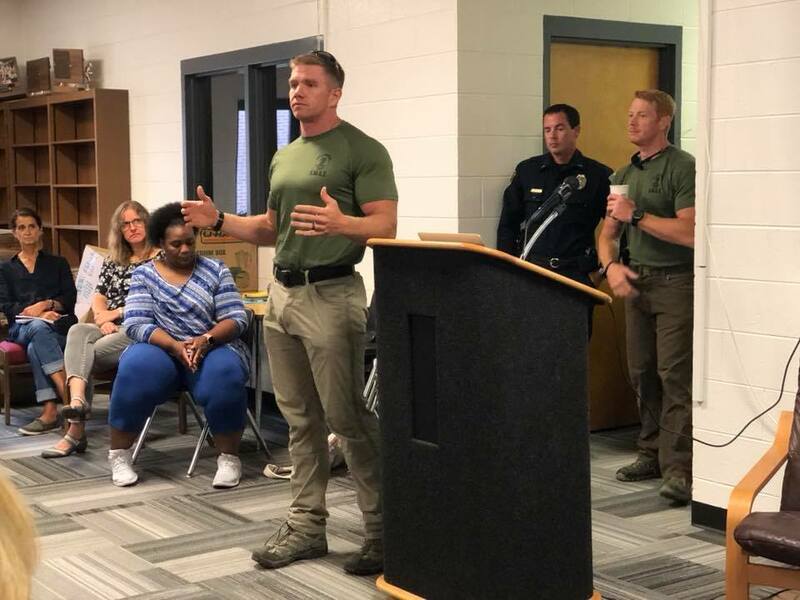 “It’s meaningful for our [GPD] SWAT team to provide this service to schools, because they routinely attend training performed by the FBI and there is a part of that training that is intended for them to redeliver to the community,” said Lt. Schiel. “Now,” he said, “the teachers and the police will now be on the same page about what to do if Germantown were to ever be faced with an active shooter situation”.